Nepal was hit by a massive 7.8 Mg earthquake on April 25. The total count of deaths and injuries were in the thousands. In the confusion and chaos that followed the quake, some people were looking for help while others were looking for ways to help. However, those who were seeking help did not know where to find it and those who were trying to help did not necessarily know where exactly their help was needed. Essentially, what everyone was looking for in that period was information. Crucially, it was the information that was missing. 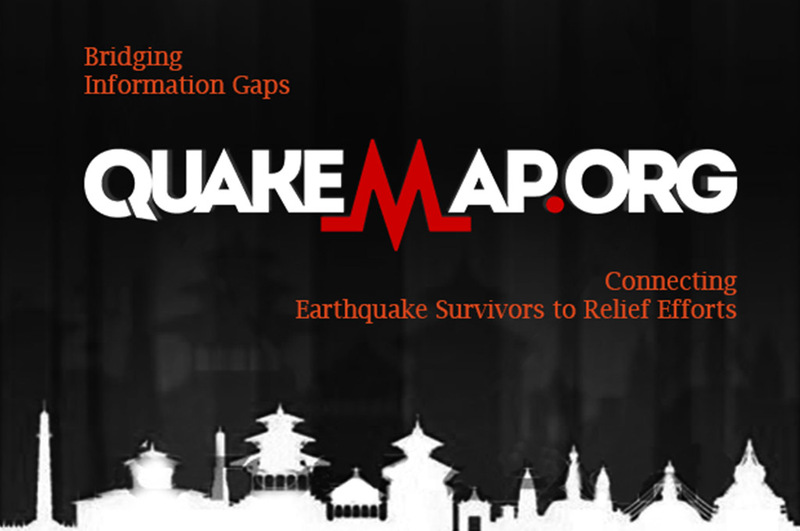 On April 26, Kathmandu Living Labs deployed QuakeMap.org with the aim of bridging this information gap so that rescue and relief efforts can be informed and expedited by reports from the ground. What information does QuakeMap.org seek? Problems: What is needed and where? Solutions: Who is able to provide it and what other help has reached there already? From whom does it seek the information? These information were fed into QuakeMap.org directly by people and organiztions on the ground. Based on the positively reinforcing experiences with crowdsourced information in Nepal and abroad, we selected crowdsourcing as the way of getting direct, primary and disaggregated source of information onto Quakemap.org. How does it get the information? Despite the massive quake, internet, telephones and sms were still functional in many quake-hit areas. We opted to use these still functional and also easily available means of communication to facilitate two-way flow of information between the earthquake survivors and relief providers. To get an idea of how QuakeMap responds on its reports, please read this blog for a walkthrough of a typical QuakeMap report. To understand how QuakeMap.org operated during the crisis, please read our daily KLL Situation Room updates here. Nepal Army used QuakeMap as one of the primary data sources for its search and rescue operations. UN used QuakeMap aggregated data to inform its intervention plans and to create visualizations such as this. Independent voluntary groups used individual reports and responded to them. Over the response period, we were supported by many partners. The Yellow House and Professional Development and Research Center provided us with numbers of volunteers, who became the core of QuakeMap manpower. CloudFactory provided us with resources to host QuakeMap.org. 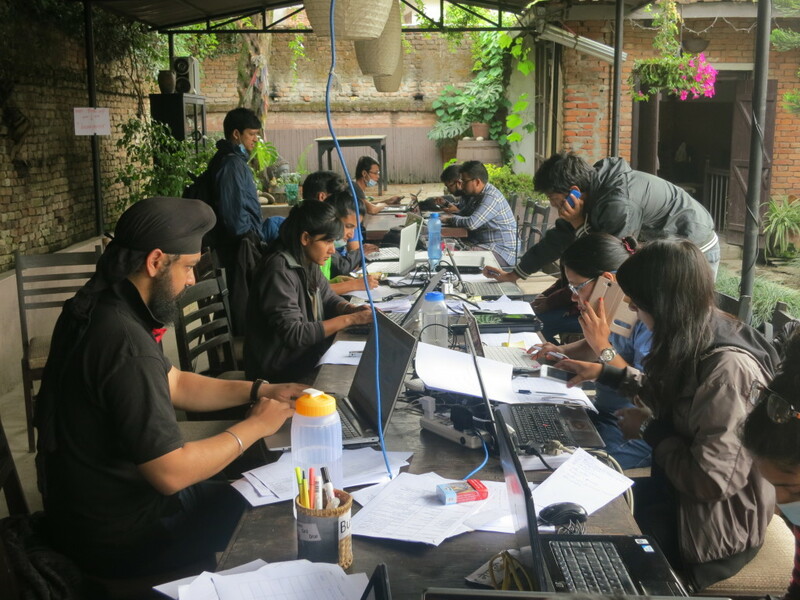 NepalMonitor.org and Himalayan Techies helped us immensely with their prior experiences in Ushahidi deployment. QuakeMap entered a "Less Active" phase starting from July 13, 2015. We are not actively soliciting new reports. However, the site remains online as an archive of the early relief processes and impact. Nepal Army used over 300 QuakeMap reports marked as 'critical for prioritizing and planning its emergency rescue operations. Reports on QuakeMap.org have been instrumenal along a continuum of use-cases. Individual reports have been picked by groups and organizations and been directly responded to as in this case. On the other hand, aggregation of QuakeMap reports have been used by the UN and other organizations to plan their operations and create informative visualizations (view an example here).